Barefoot and Jones_Mahoney like this. 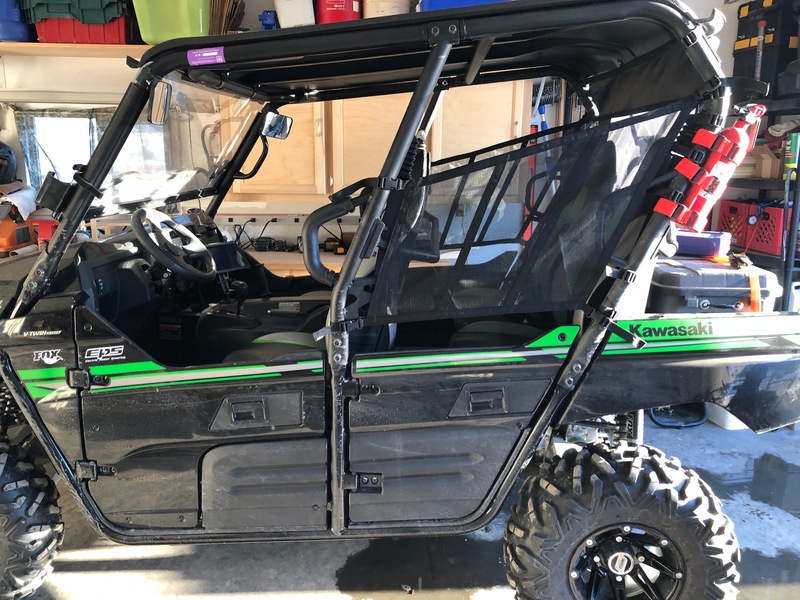 2017 Teryx 4 - HCR Racing Suspension- MSA Bead lock wheels - 30" Motovator tires - 50" light bar - 12" light bar- Backup lights - Terra 45 winch - optima 2nd battery install with isolator. Looks like a great product! Post some photos. 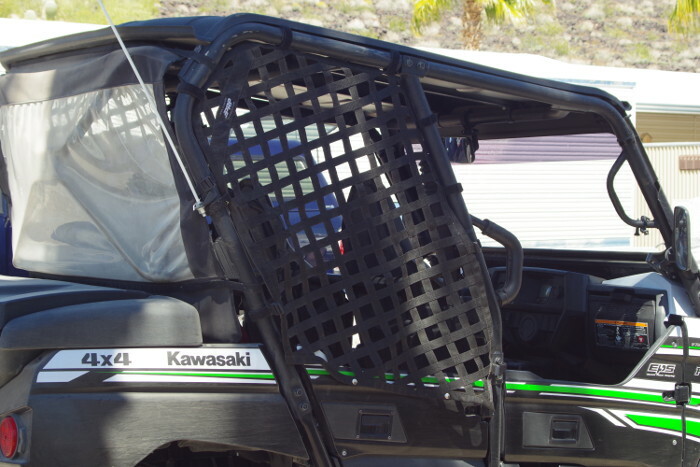 Just ordered a set...looks like a great product to keep my dogs safer in the back of my T4. Guess I'd better get started building some sort of platform for them to ride on. Can we have pics please!!!! I'm not on Facebook. You don't have to be on facebook...just click on the link the first post. I have !!! It says page not found . Did you use .net or .com. I did .com and then realized it was .net. Haha works for me now. Anything similar offered for the front that would also fit a T2? These are sweet cant wait to pull the trigger on a set. Thanks for posting your link! Thanks to barefoot i used .net and i found them. They are awsome!! . My buddy gave me his net doors off his comander but i dont think they will work ffs lol. Yep, that's the plan. I made a similar platform for my dog to ride on my ATV. My nets show as delivered today, thanks! EDIT: The window nets arrived and they look great. We're in mid-blizzard here in SD so I probably won't get them installed until this weekend. I'll post pics when I do. Last edited by cynjon; 04-10-2019 at 07:54 AM. 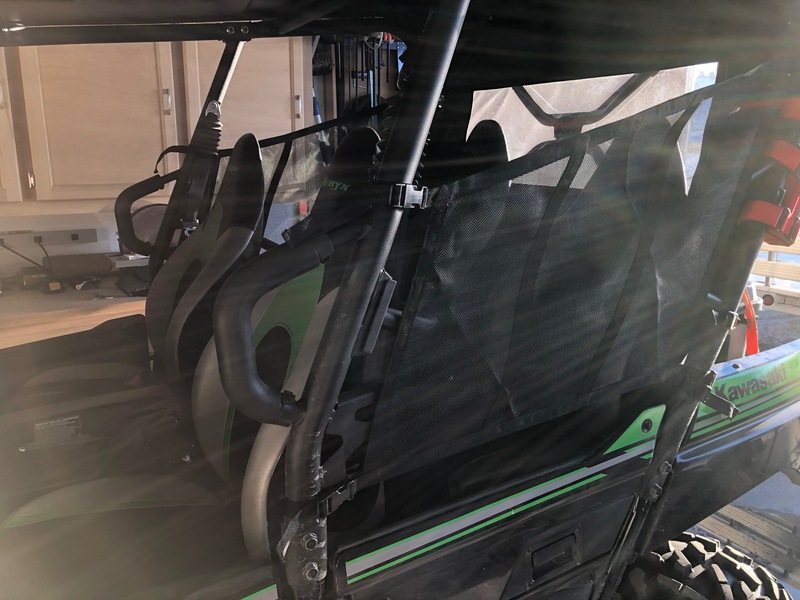 These won't work for us as they only cover part of the rear opening. Our large dogs like to stand way up and grab bushes/trees as they go by, not a good thing in the desert where everything is pointy. I made a template and ordered a left and right from PRP Seats. Heavy duty strapping should hold up and out live the dogs. They were custom made, about 3 weeks wait, and come with a heavy duty price tag. Another option if anyone needs them. Got my nets installed today...great quality and should do a good job for my machine. Highly recommended!